Todays new release are Polka Dot Fetish Ballet Boots. JariCat Fashions newest release in both Second Life and Inworldz are the Pure Love silks with handmade (by myself) textures. Today’s newest release are the traditional Dutch wooden clogs available in 4 colours. Snowflake is a romantic Fairy outfit, however without the wings its also very suitable as Medieval silks. Daisy silks are an old fashion style of silks. The skirt is modify so you can adjust it to fit your avatar body. Before doing so, make a copy of the skirt first. 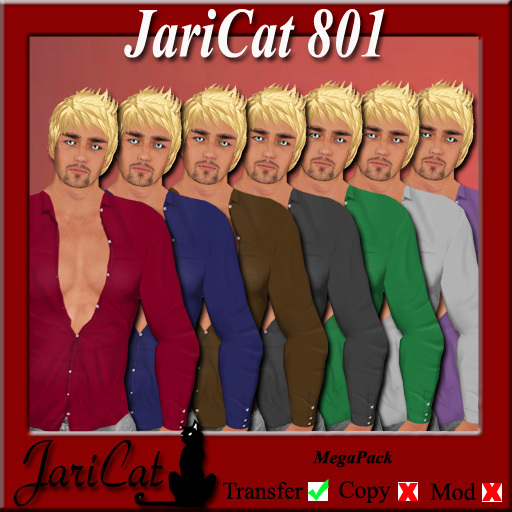 New to JariCat is the Neko Range starting with this very cute outfit. It comes complete with the boots but NOT with the ears and tail.